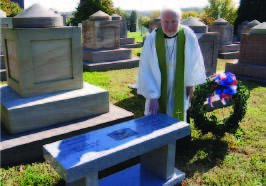 Chaplain-General Fred Pyne dedicates benches honoring the 12 Signers where DSDI recognition of their individual gravesites has not been possible. On Saturday, Nov. 5, 2011, the DSDI dedicated Elbridge Gerry’s plaque and a cenotaph to 12 Signers, at Congressional Cemetery in Washington, D.C.
On a beautiful sunny day, eight Board members of the Congressional Cemetery joined the 30 DSDI members to dedicate two beautiful gray granite benches to the Signers. One bench had Elbridge Gerry’s plaque inserted in the center, with six signatures of the Signers. 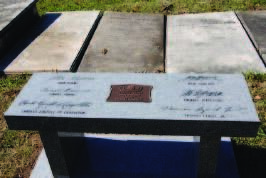 The second bench had the DSDI plaque inserted in the middle with six more Signers’ signatures engraved on it. 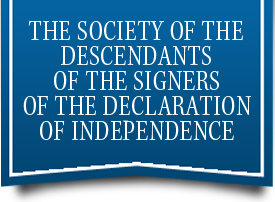 The names of the Signers were in the same script as the Signers signed the Declaration of Independence. Lawrence M. Croft, 1st Vice President-General was Master of Ceremonies. Laurie welcomed everyone and led the Pledge of Allegiance. John C. Glynn, President-General, and Laurie Croft placed wreathes at each bench. Rev. Frederick W. Pyne, Chaplain-General, led us in prayer, and consecrated the benches and grounds. Grace Staller, Chairperson of the Plaques and Restoration Program, welcomed Cindy Hays, Executive Director, Historic Congressional Cemetery, and Linda Harper, Past Director, to our dedication and presented each with a gift of a framed picture of the Signing of the Declaration in Independence Hall in 1776. John Glynn read a short biography of each Signer being honored. John is descended from Richard Stockton. Catherine Ball, Page Demos and Betsy Gottwald, are descended from Thomas Nelson, Jr. Those Signers were among the 12 being honored by the cenotaph. Bruce Laubach, President of the Virginia Society of the DSDI, brought the beautiful Let Freedom Ring Bell to the dedication. The members who were descendants of one of the honorees rang the bell along with other members. A Scottish piper supplied us with beautiful music, Amazing Grace, God Bless America, Scotland the Brave and Highland Cathedral. Each person was given two flags to place in the two wreaths, which were made of silk, ivy leaves with large red, white, and blue ribbons. After the placing of the flags the piper led the way to the beautiful Chapel in the Cemetery. Laura Belman, Governor of our Washington D.C., Society, arranged for us to have a delicious boxed lunch in the Chapel. Laura also gave a tour of the Library of Congress in Washington after the luncheon. Laura is an official guide and supporter of the Library. One of two DSDI Benches, each bearing the names and signatures of six Signers. The Congressional Cemetery has over 55,000 people buried there. It was founded in 1807. The Public Vault was built in 1835. John Quincy Adams, William Henry Harrison, Zachary Taylor and Dolly Madison were temporarily interred there until they could be moved to their family plots or hometowns. Elbridge Gerry, Signer of the Declaration, was the only Signer to become Vice- President of the United States. John Philip Sousa, and J. Edgar Hoover, are buried there as well. I hope you will have the opportunity to visit this historic resource of America history. 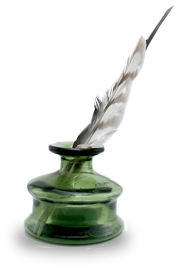 This entry was posted in President. Bookmark the permalink.